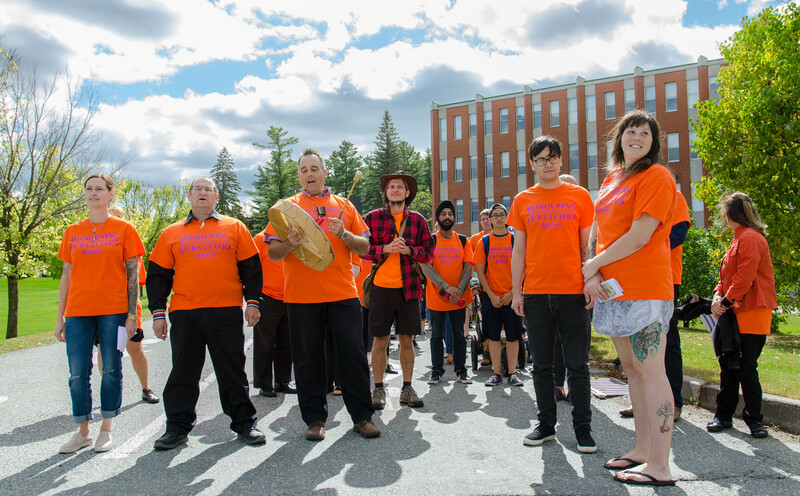 In honour of Orange Shirt Day, we interviewed Melissa Poirier, Bishop’s University’s Indigenous Student Support and Community Liaison Officer. Having been a part of our community for a year, Melissa tells us about her roles and the significance of having difficult but important conversations about Indigenous issues. Explain us the role of Indigenous Student Support and Community Liaison Officer. There are three main parts to my job. The first is student support. I am there as a support for the social and academic success of Indigenous students, whether in groups or one-on-one. I listen to the students’ needs and offer assistance in various situations. One project that I am working on is creating a resource center with books, magazines, and materials on career paths, internships, scholarships, and bursaries. All of these would focus on Indigenous issues and Indigenous topics. 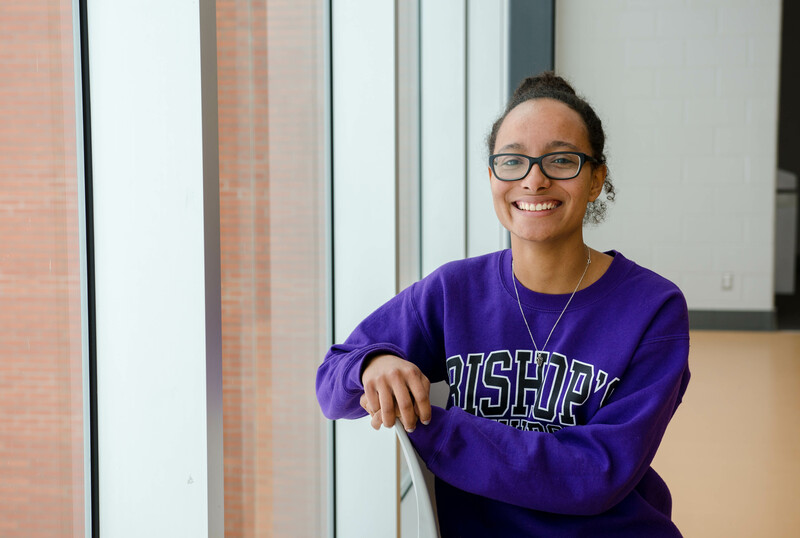 The second part of my job is to organize activities and events for the Bishop’s University community. I plan events that help inform, educate, and promote Indigenous culture. For example, I organized a trip to the Abenaki Museum where our group consisted of Indigenous, Non-Indigenous, and international students. I also meet with School of Education students to teach them about reconciliation and issues that are still present in our modern society. The last part of my role is community liaison. I reach out to other local organizations and communities where there are potential Indigenous students. I also represented Bishop’s University at the National Gathering of Indigenous Education. In the end, I help to bridge the gap between Indigenous students and educational institutions. What is Orange Shirt Day? Who is involved in the organization of the event? The Indigenous Cultural Alliance and I organize the event. 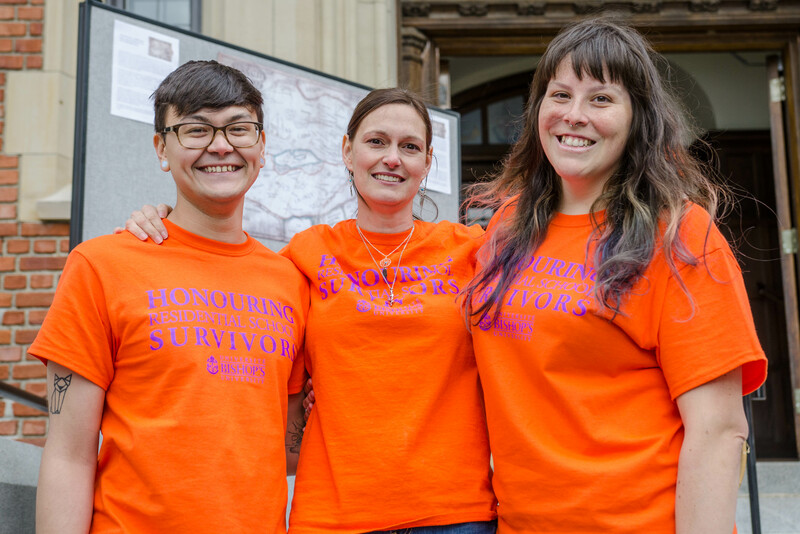 Orange Shirt Day’s origins come from the story of a young Indigenous girl named Phyllis Webstad. At the age of six, before she was sent to a residential school, her grandmother managed to buy her an orange shirt for her first day of school. At the school Phyllis was stripped down from her orange shirt and forced to wear a school-sanctioned uniform. Orange Shirt Day symbolizes the act of residential schools stripping Indigenous children of their culture, knowledge, and identity. It is an occasion to also provide information about residential schools. We must not forget the history and the impacts it had on those forced to go to these institutions as well as their children and children’s children (i.e. intergenerational trauma). For this year, we have reached out to other schools, both secondary and post-secondary, in the area to join together to commemorate the event. Joshua Komangapik, Melissa Poirier and Bianca Martin at the Orange Shirt Day event on September 28, 2017. Why is it important for universities to recognize events like Orange Shirt Day? It is important because we have a responsibility to make sure the truth is told. I have spoken to people who did not know what residential schools were. We need to educate the next generation. They need to understand and know the history of this systemic racism. That is why reaching out to others is so important. Actually, by reaching out to schools in the area for this year’s Orange Shirt Day, Alexander Galt High School has decided to hold an Indigenous Awareness Month. This is incredible, and it demonstrates the steps needed to educate the leaders of tomorrow. Students from Bishop’s, BCS and Champlain College Lennoxville joined forces for Orange Shirt Day on September 28, 2017. How can students start and open up conversations for meaningful discussions? I would encourage students to participate in events that myself and the Indigenous Cultural Alliance organize. Although I am happy there are events like Orange Shirt Day, we must do more than attend one event at one time. We need to eliminate stereotypes and speak out. When the Indigenous Cultural Alliance plans activities, go to them. They are safe spaces, and don’t be afraid to ask questions. By attending you are forming awareness and creating links. My advice is to really talk, because one small conversation can make a big difference and change mindsets.